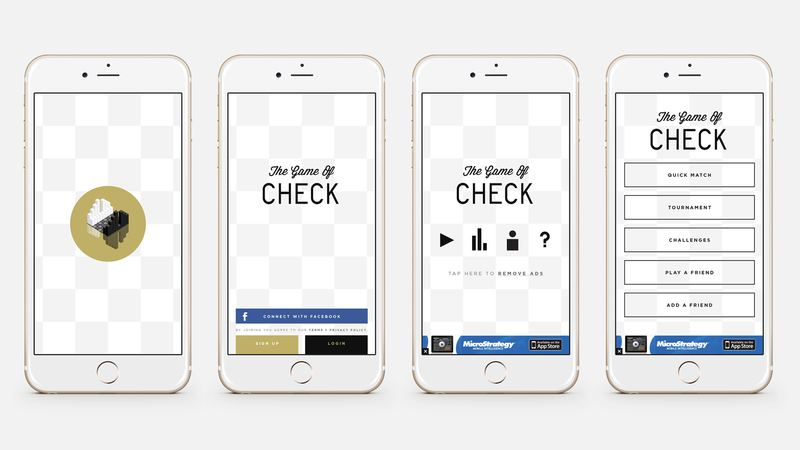 Arms & Anchors has just won the Applied Arts – Young Blood Complete Design award for our app game Check! Click here to check out the announcement post on Applied Arts’ website. 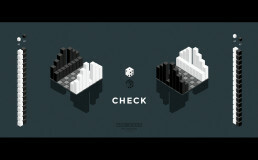 The Game of Check is a variation of Chess. The pieces are assigned a value according to their class. The values are exchanged in combat. The piece of higher value remains on the board as the difference (e.g. Rook, 3, attacks Knight, 4; Knight becomes King, 1). Players may control multiple Kings. A piece that would become a pawn in the 8th rank becomes a Queen. 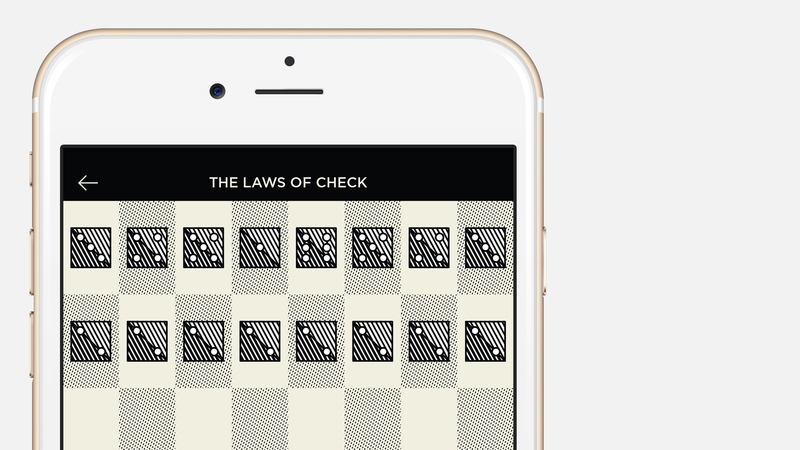 When a player’s only King or all their Kings are in checkmate, that player has lost the game. The name of the game, Check, references the in-play scenario of a player’s king being threatened. 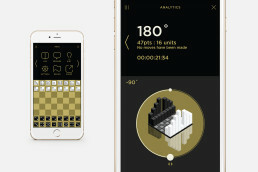 In this variation of Chess, a player is commonly finding their Kings compromised. When a player controls multiple Kings they are able to attack with their Kings or leave them in check. 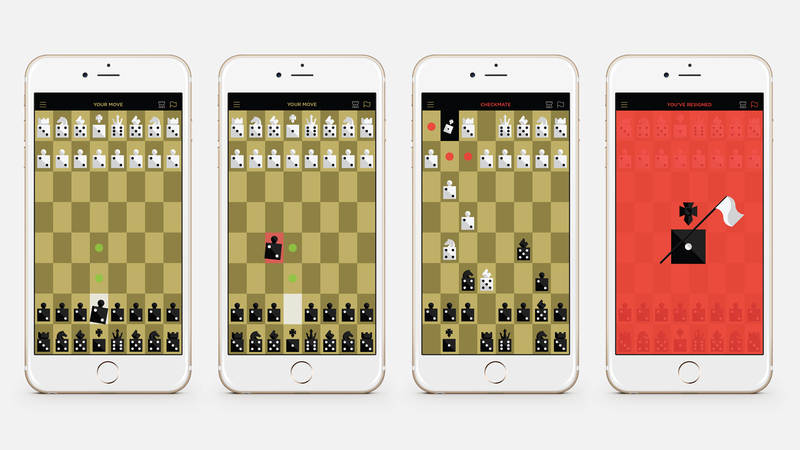 Unless each of the Kings a player controls are simultaneously in check, they do not suffer the disadvantages of being placed in check; players with multiple kings may use them to attack. 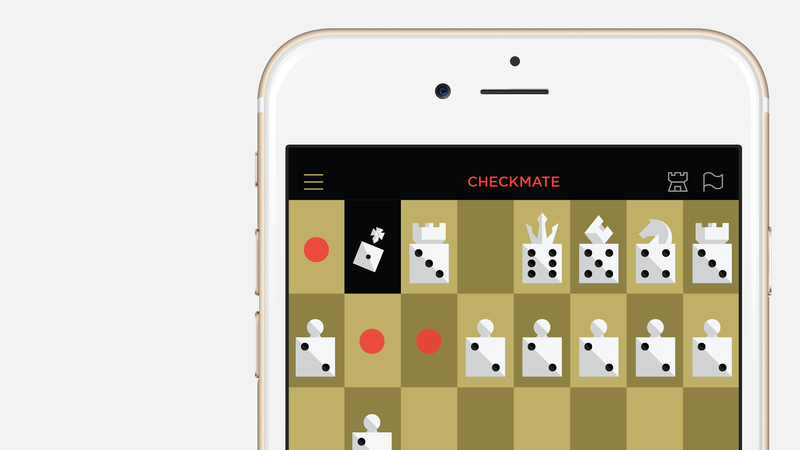 A player may not attack a piece if it would become a king in threatened space. 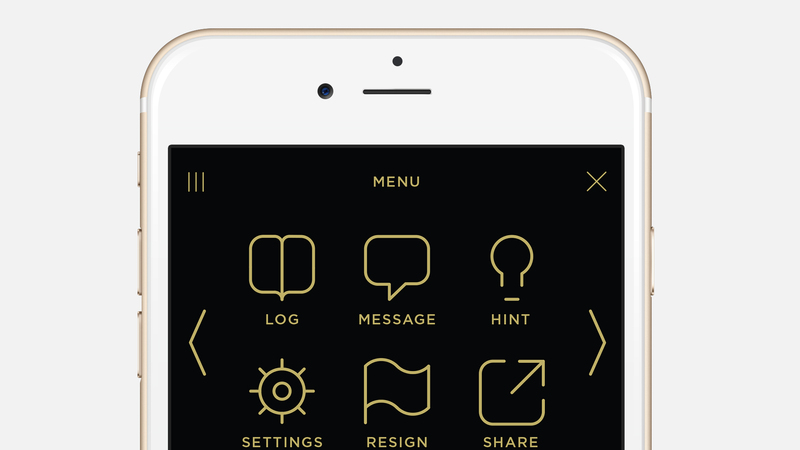 We wanted the brand to achieve an engaging playful elegance. We aimed for the design of the pieces to help educate a new player and assist them in memorizing the values assigned to each piece. Having conceived the physical game using 6 sided dice, it seemed appropriate and classic to attach head of chess pieces to the bodies of the dice. 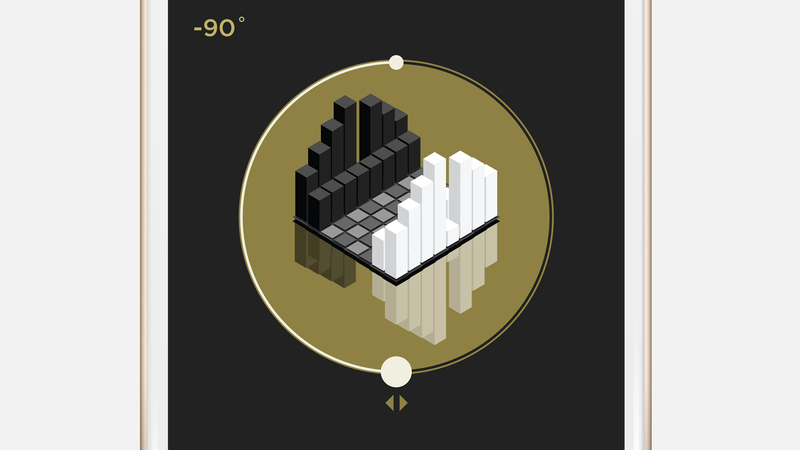 The game can be approached with a mathematical point-of-view. Analytics allow a user to rotate the screen in 360 degrees, track moves, times and points. Mark Dusk, Inc. is a creative force based in Portland, Oregon making experiential identities, interactive experiences, experimental films, objects and art to inspire human beings.